There's no more throwing caution to the wind when it comes to adopting Blu-ray – at least not where Blockbuster is concerned. 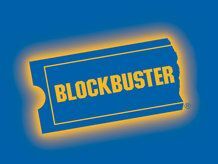 The CEO of the movie rental chain, Jim Keyes, has demanded studios make more copies of Blu-ray films, as this is the only way the hi-def format will truly succeed. Speaking at the Home Media Expo in Las Vegas, Keyes said: "Blu-ray Disc represents a classic lifecycle extender. It represents a good continuation at least for some period of time – five years, 10 years." In his speech he commented on the fact if studios don't mass-market the product faster then they will inevitably lose out to digital downloads. "We think the rental model can help Blu-ray," said Keyes, "If we're slow in doing this, all it does is stimulate demand for digital."